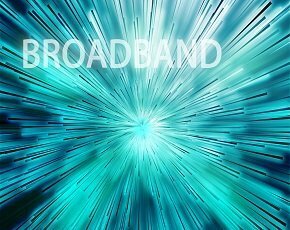 Ofcom has published a new study showing almost three quarters of the UK’s population now has access to superfast broadband. In its annual infrastructure report, the regulator said 73% of the population could get the service if they chose – up from 65% at the same time in 2012 – and more families were picking the speedier connections than ever, with the adoption rate rising from 10% to 22% in the space of a year. The growth in networks and adoption has led to increased data traffic too, with 650 million gigabytes sent and received in June alone – up 26% from 2012. But the increase wasn’t from fixed lines alone. Public Wi-Fi hotspots doubled over the past year from 16,000 to 34,000, with traffic sent or received trebling to almost two million gigabytes per month. But Ed Richards, CEO of Ofcom, said the progress meant more work to ensure networks were up to scratch. “Superfast broadband is rolling out fast across the country, and 4G mobile will reach at least 98% of the population,” he said. “This is really good news but there remain considerable challenges, not least in hard-to-reach areas for mobile and home internet services.